Square Dump Bins in a zinc plated finish, 550 wide x 400 deep x 790 (H) mm. Robust with Heavy Duty Wire. 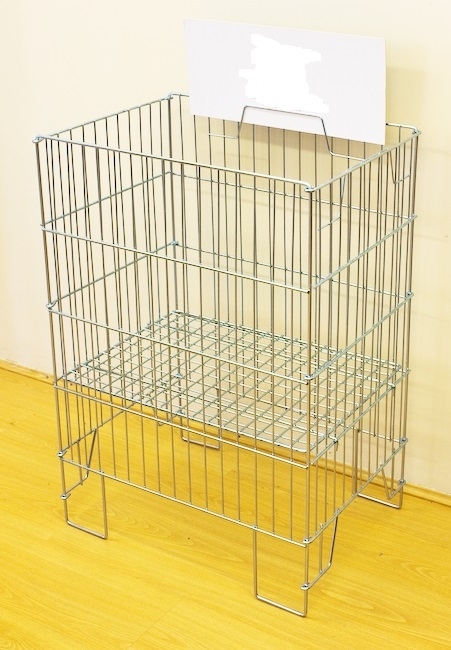 Easy assembly, this basket will arrive flat packed and you will be setup within minutes to securely store and merchandise your products. Ideal for merchandising promotions. These baskets are useful in creating eye catching displays as there is a spacious area to be covered and the products can be seen from multiple angles. Collapsible, folds flat for easy storage. Folding Concertina style sides. Adjustable shelf height to change capacity of bin. Clip to hold Header Card.